Hi, I am Hana Laws, Co-Founder and Director of Pimp My Stroller. I have lived in Beckenham for the past 9 years and 7 years prior to that lived in various locations all over London. I’m originally from the South Coast where my business partner, and sister, Melanie now lives. And whilst I miss the seaside, I genuinely feel like SE London is home now. Melanie and I have 4 kids between us aged 6, 3, 2 and 20 months. We both run our business from home. What is Pimp My Stroller and why did you set it up? 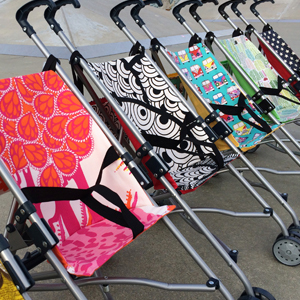 Pimp My Stroller makes hip, handmade toy strollers for kids with style. It all started when we wanted to buy a toy stroller for our kids, but all we could find on the high street were the stereotypical and drab, pale pink and pastel blue kind. 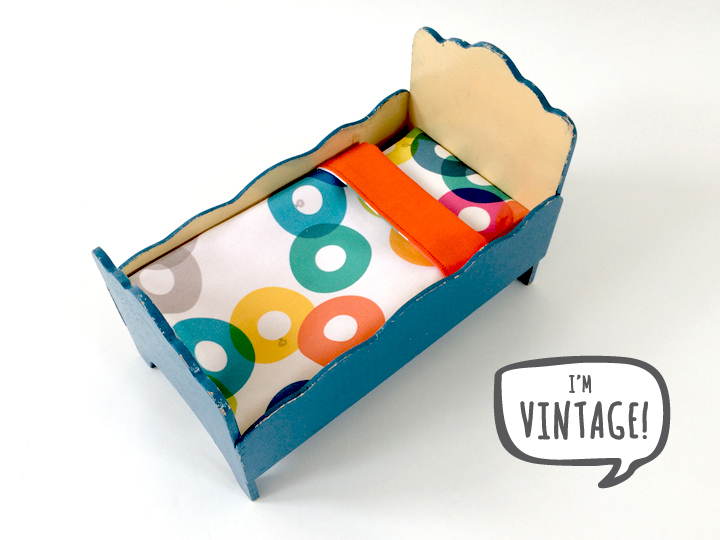 So we found one in a charity shop and ‘pimped’ it up ourselves using some gorgeous Marimekko fabric remnants we had lying around. Word got around the school/nursery playground and before you knew it we were making them for all our friends and family. So we decided to start Pimp My Stroller and the rest is history. We are particularly passionate about the Let Toys Be Toys campaign and think that our products are brilliant for both boys and girls. I have nothing against pink (in fact I LOVE pink) but why should it be a ‘girls’ colour and why should some toys be for boys and some for girls? My daughter loves Star Wars Lego, Spiderman and climbing trees and my nephew loved pushing his toy stroller around and playing with a doll when he was younger. I’m not sure how I do it, but I’m currently running our business, working in Financial Services in the City 3 days a week, raising my 2 kids and running a household. My ultimate aim is to give up work in the City and run Pimp My Stroller full time. Being a stay at home mum isn’t for me, but having kids has changed me and I want to be able to work more flexibly so I can be there for my kids as they grow up. Since becoming a mum I’ve slowly but surely learnt that I can no longer be a complete control freak and that I can’t do everything. So juggling work, life, kids and running a business for me comes down to being organised, working hard, being flexible and not feeling guilty for giving yourself a break when you need one. It’s important to reflect every now and again on everything you have achieved, it certainly reminds me how lucky I am and gives me a huge motivational boost. When I had my first daughter I was lucky to have met some great friends through NCT and other baby groups/classes. There is so much going on for families and parents of young children in SE London so you can easily meet people and it feels like a really supportive community. Can you share one secret tip to other mothers in this area? I spend A LOT of time at Kelsey Park as it’s right on my doorstep, and if you can prize your kids away from the playground it really is a lovely place to walk, feed the ducks and see the herons, have a picnic, scoot, play crazy golf, play hide and seek, eat ice cream and generally just run about. The park changes so much with the seasons, which makes each visit completely different. You can find Hana and Melanie at Pimp My Stroller / Instagram / Facebook / Twitter. They have kindly offered an exclusive 10% off using the code MAMAHOOD. 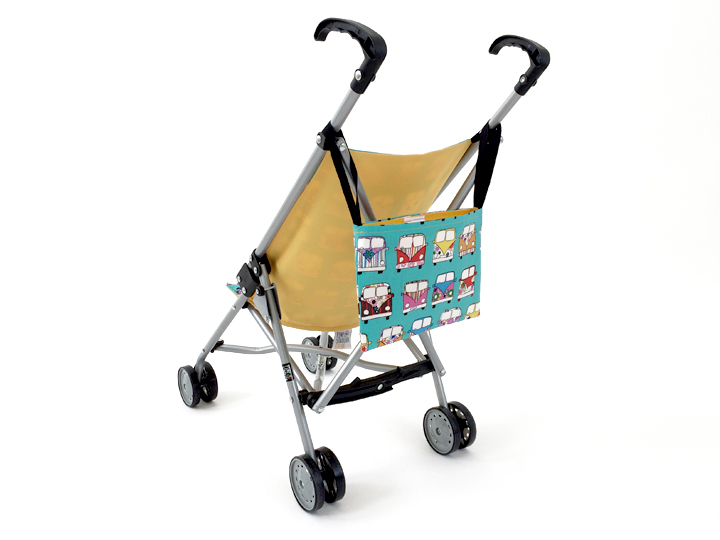 Local pickup is also available from Beckenham, email hello@pimpmystroller.co.uk to arrange. They have been shortlisted in the Best New Brand category in the Little London Awards - i think you will agree they totally deserve it!